Below is an example of a Third-Party Logistics Provider Contract. This example is just that, an example. For your protection, you should always consult an attorney before signing any legal document. 1. Definitions. For all purposes of this agreement, the following terms shall have the following meanings. Such meanings to be equally applicable to both the singular and plural forms of the terms defined, even if not so noted below. (b) Arrange for and carry out the transportation services associated with the shipment of products and goods from and to any secondary location, but only to the extent specifically requested for specific shipments by shipper. It is understood and agreed any secondary locations shall be primarily serviced by another third-party logistics provider or carrier contracted with directly by shipper. (c) Arrange for the safe and timely shipment of products and other goods throughout the continental United States to, from, and between primary location, customers, suppliers and other authorized recipients of the products, and any secondary location if so requested by shipper, for the business tendered to it under Section 4.1. 2.3 The services rendered shall be consistent with the operating authority held by carrier, and any extensions or additions thereto. In addition, carrier shall have and maintain at all times during the course of this agreement, and subcontract transportation services only to carriers who demonstrate that they have appropriate licenses to carry and ship (list primary products shipped by shipper), as may from time to time be required by any applicable governmental or regulatory bodies. 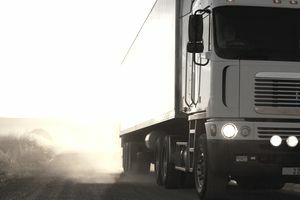 During the period of time that this agreement is in effect, it is understood that carrier is providing transportation services and that all shipments tendered to carrier or its authorized agents and designated subcontractors under this agreement are transported pursuant to the terms and conditions of this agreement. 3.3 In addition to the rates set forth in Exhibit (list exhibit letter), shipper shall pay a fuel surcharge of (designate surcharge amount) on the portion of shipments hereunder, for every (designate time frame) that the National Department of Energy (DOE) diesel fuel index (the "Fuel Index") exceeds (designate dollar amount), shipper will receive a rebate of (list percentage) for every (list dollar amount) that the Fuel Index falls below (list dollar amount). This surcharge/rebate shall be applicable commencing on the first Monday following the weekly DOE fuel index closing date. The fuel surcharge or rebate shall be invoiced on each applicable freight bill. 3.5 Notwithstanding the fuel surcharge/rebate provided for in Section 3.3 and the annual rate setting provided for in Section 3.4, shipper or carrier may each seek an adjustment by lane, over and above that provided for in Sections 3.3 and 3.4, in the rates or provisions set forth herein by written request to the other party due to unusual, unavoidable and unanticipated occurrences. Such adjustments to the rates shall be allowed once per calendar quarter, and shall be retroactive to the date of the occurrence necessitating the adjustment. The parties shall use their best efforts to agree upon such mutually accepted rate adjustments. 3.6 If during the term of this agreement, shipper changes its locations by adding a warehouse (the "new location") to the list set forth in Exhibit (list exhibit letter), shipper may initially award the new location to carrier for a period not to exceed six (6) months, at rates proposed by carrier calculated on the same economic basis as the then-current agreed-upon rates. During this six (6) month period, shipper will request rate proposals for transportation and shipment services to and from the new location from carrier and other third-party transportation providers. Upon completion of this proposal process, and in shipper's sole discretion, shipper may award the new location transportation services to a carrier deemed by shipper as the most appropriate. Unless expressly agreed otherwise in writing, any new location services awarded to carrier shall be under the terms of this agreement. 3.7 If during the term of this agreement, shipper discontinues production at the primary location or ceases operations at the primary warehouse covered by this agreement, shipper shall provide carrier one (1) month's notice prior to ceasing operations at the relevant location. Carrier shall continue to provide transportation services to the relevant location until such time as shipper ceases all operation at that location. Carrier shall continue to provide transportation services as described herein for shipments from the remaining primary locations and warehouses. Shipper shall not be obligated to replace lost volume, nor shall shipper be liable to carrier for any costs associated with any lost business arising from the discontinuance of a location. 3.8 Carrier will invoice shipper on the first business day of the week for the freight charges incurred the previous week and will provide to shipper weekly an electronic version of such invoices. Shipper shall pay such invoices within thirty (30) days of receipt of a correct and proper invoice. All other amounts otherwise chargeable to shipper hereunder shall be invoiced by carrier reasonably promptly in accordance with normal business practices following the month in which such are incurred by carrier. Such timely invoices shall similarly be paid by shipper promptly in the ordinary course in accordance with shipper's normal business practices. Shipper shall have the right to designate a third party to directly receive and pay freight invoices as described hereunder. 4.3 In no event shall carrier personnel located at shipper locations be considered employees, representatives or agents of shipper for any purpose whatsoever. Carrier personnel located at shipper locations shall be subject to the same general rules and regulations regarding work hours, and safety and security procedures and processes, as generally apply to the noncarrier employees at the shipper location, and shall work closely with a shipper-designated representative at the location. 7.1 Loss and Damage—Procedures for the handling of loss and damage claims shall be set forth. 7.2 Timing of Claims—Claims for alleged overcharge or undercharge shall be filed with the appropriate party within one (1) year of the date of carrier's invoice. Claims against carrier by shipper for damages arising under this agreement shall be filed within nine (9) months from the incident giving rise to such claim. Claims by either party beyond such date shall be deemed invalid. 7.3 Limitation Period on Invoices—Shipper shall not be liable for invoices not submitted within ninety (90) days of service. Shipper locations or other authorized representatives shall issue a bill of lading for each shipment, and the terms therein are to be incorporated herein, except to the extent that such terms are contrary to the provisions of this agreement. In the event of any such conflict, the terms of this agreement shall prevail. Carrier shall retain bills of lading and delivery receipts for a period of at least four (4) years. The limits of liability of such insurance shall not be less than (enter amount) combined single limit and shall be written by an insurance company or companies licensed to do business in the states in which carrier does business. Shipper shall be named as an additional named insured on all such insurance. The insurance afforded by these policies, except for workers compensation shall apply to shipper as an additional insured but only to the extent of the obligations of carrier as provided under this Agreement. shipper shall be named as a certificate holder under carrier's worker's compensation insurance. The carrier may self-insure pursuant to the authorization of the FHWA. The carrier shall provide shipper with a certificate to such effect from all applicable insurers. Such policies shall provide for thirty (30) days' notice to shipper from the insurer by registered or certified mail, return receipt requested, in the event of any modification, cancellation or termination of such policies. 10.1 Shipper and carrier acknowledge and agree that the risk of loss to goods during transit shall be borne by carrier once the carrier's truck leaves the shipper's dock. The driver shall have the right to inspect each shipment for damage prior to leaving the loading dock and shall have the right to refuse damaged goods tendered for delivery. In addition, carrier's driver shall note and bring to the attention of the appropriate loading dock personnel at the location any damage detected prior to leaving the loading dock where it is receiving goods on behalf of shipper. In the event that damage occurs to goods prior to delivery at the ultimate destination, the driver shall note such damage on the bill of lading and further shall so advise the party receiving the shipment, through the delivery of a copy of the bill of lading setting forth a description of damaged goods. 19.1 Carrier is hereby granted the right to use the trademarks, trade names, service marks, or logos owned by shipper (collectively, the "trademarks"), solely to the extent required specifically in the performance of its duties under this agreement, including the right to permit carriers to affix trademarks to vehicles when carrying products; provided, however, that such use shall specifically exclude use which might in any way represent any derogatory connotations that might become attributable to shipper, its products or trademarks, as a result of the derogatory manner in which the trademarks are used. Except as expressly granted herein, carrier acknowledges that no trademark or trade name rights in any of the trademarks are granted by this agreement. This agreement constitutes the complete and entire agreement between the parties. If any provisions shall be declared invalid by a court of competent jurisdiction, the remainder thereof shall remain in full force and effect. This agreement supersedes all prior agreements and/or understandings, whether written or oral, between the parties.